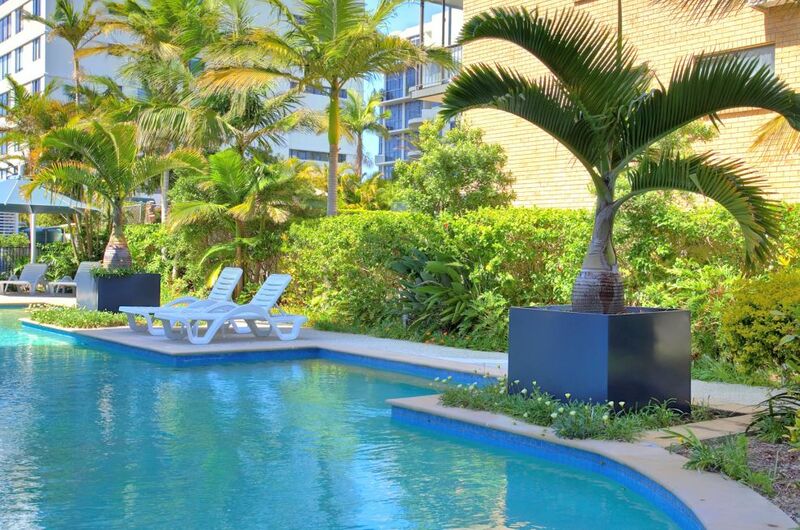 Bespoke GRP planters were commissioned from IOTA for Deepwater Point Apartments on Australia’s Gold Coast. 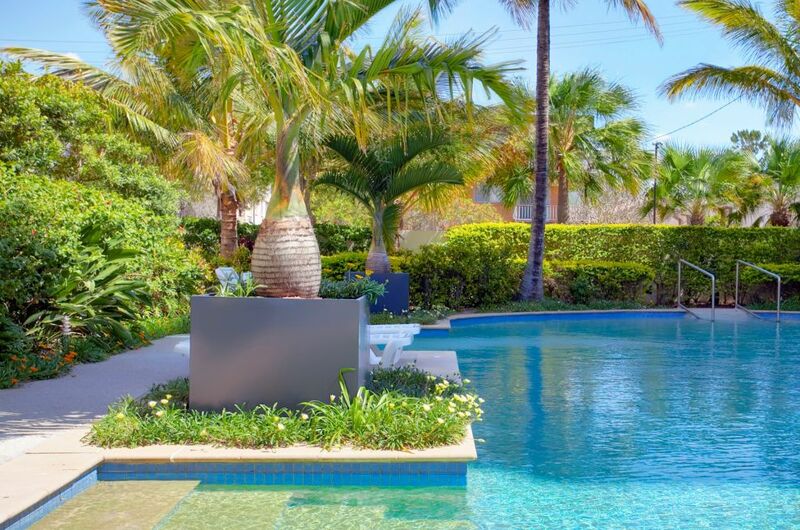 The planters are 1000mm cubes, and were internally reinforced to withstand the substantial loadings of 3m tall Bottle palms (Hyophorbe lagenicaulis): a rare and endangered palm species endemic to Round Island of the Mascarene Island group in the Indian Ocean. 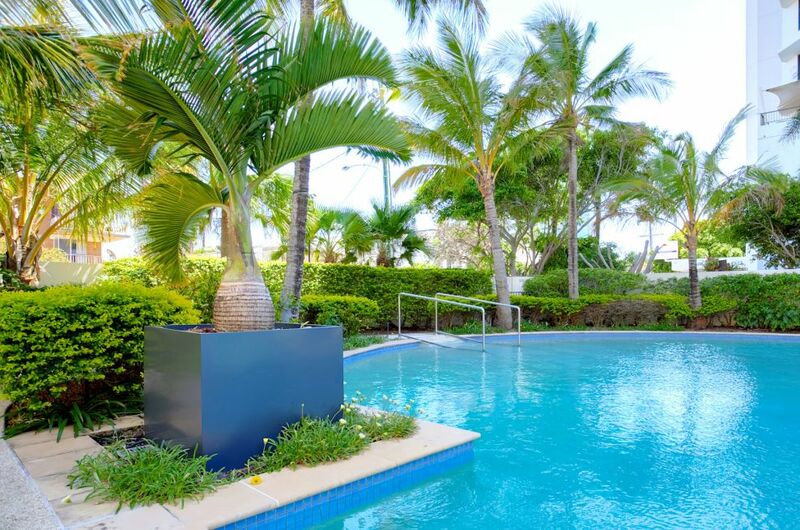 The palms had previously been planted around the pool, but needed to be lifted and containerised as their growth had started to cause structural damage to the pool. The fibreglass planters were supplied by IOTA Australia, the exclusive distributor of IOTA’s products in Australia, and the company’s first international franchise operation. 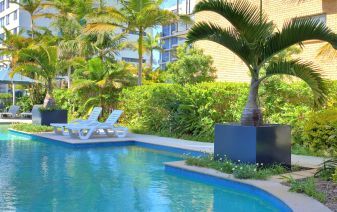 Positioned on its own private marina, Deepwater Point Apartments are located at Mooloolaba on Australia’s Gold Coast in Queensland, one hour's drive north of Brisbane.